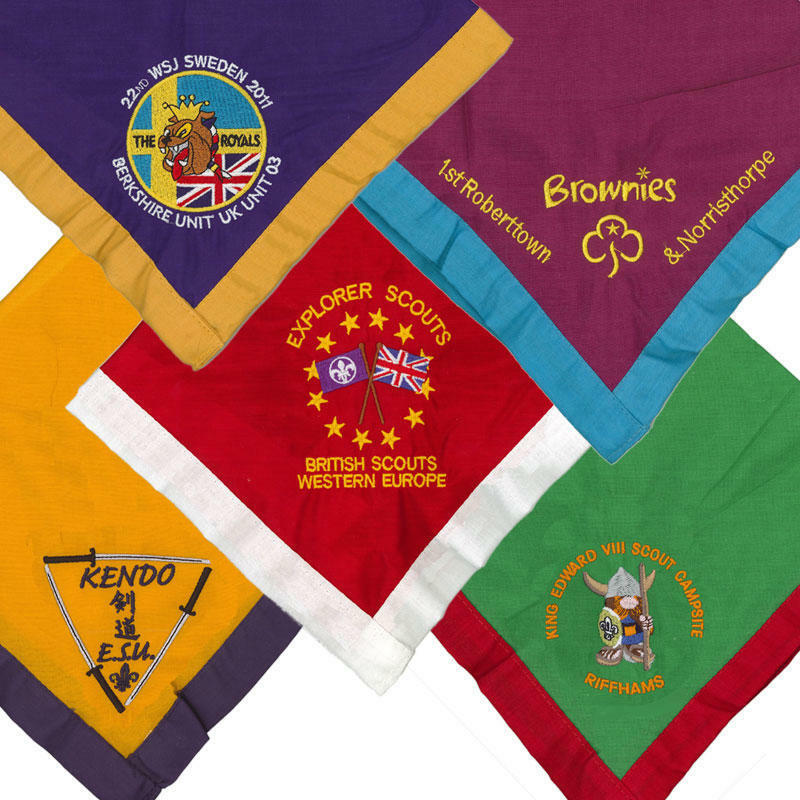 If you have a logo on your Group Scarf (or you're looking at putting one on), if you are wanting to put a design onto a scarf for your Camp or other Event, or perhaps you need some scarves for a Contingent going to a Jamboree - we can help. Email your design to info@onestopscouting.com or post it to the address on our Contact Us page and let us know the quantity you are looking for, we will then provide you with a price and feasibility of producing the scarf. Please note: The minimum order quantity for embroidered scarves is 24 items. The images displayed are for illustrative purposes only, and are not available for purchase.